We tend to see more furnace breakdowns and similar repair issues late in the season. Months of daily use have increased the strain on your heating system, and the chances of a breakdown or repair call tend to go up. 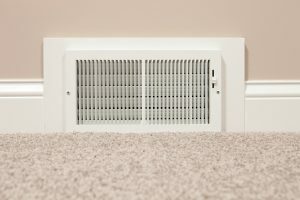 Enterprising do-it-yourself-ers may be tempted to try repairing a heating problem themselves, or even just “patch” the issue until the spring when you don’t need your furnace to run. This is always a huge mistake. Furnace repairs require professional training and licensing to deal with. More specifically, the professional technician brings a number of components to the table that even the most talent layman can hope to match. Most homes in the area rely on forced-air furnaces to stay warm in the winter. These furnaces heat the air via burners or electric coils, then blow the heated air through a series of ducts into the various corners of the home. It’s effective and inexpensive, which is why it’s such a common form of heating. But like any system, it can run into trouble from time to time. You need to be able to notice when that happens with your furnace, and call in a repair service when it does. Homeowners should never attempt to formally diagnose a problem with their furnaces: that requires proper licensing and training. You can, however, note when something isn’t right with your furnace and call in a repair service. Generally speaking, anything that doesn’t match your system’s normal behavior is cause for concern. More specifically, a lack of air flow from your system usually indicates a significant problem. The sooner you spot it, the better.